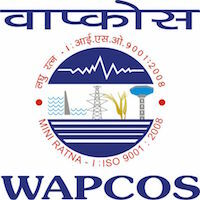 Online Application Details for Water and Power Consultancy Services Limited WAPCOS Recruitment of 10 Deputy Chief Engineer and 10 Senior Engineer is given below. Application form and duly attested documents are to be sent to Dy. Manager (Pers. ), WAPCOS Limited, Plot No. – 76 C, Institutional Area, Sector-18, Gurgaon, Haryana - 122015. In envelope super scribed with 'Application for the Post of Post Name'.